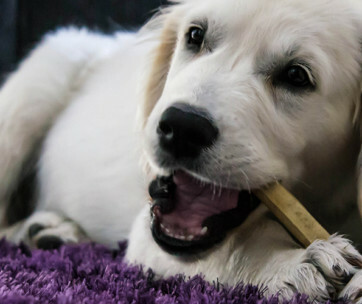 Why is Oral Dog Health So Important? Between 80 and 85 percent of all dogs will have oral and dental problems by the time they reach the age of 3 years. Not only are dental diseases common among dogs, these can produce serious health problems as well. With this information, it is important for pet parents to do everything they can to help their dogs have healthier teeth and gums. Everything starts with bacterial colonization of the dog’s teeth. Everyone knows how dogs love to use their mouths to explore their surroundings. They eat grass, garbage, and sometimes feces which contain microorganisms. They can chew on surfaces that have bacteria and other germs. They can also lick items and objects that have these microscopic organisms. In short, the natural behavior of dogs to lick and chew predisposes them to the development of oral and dental health problems. When these microorganisms come in contact with the surface of the teeth, they initiate a chemical reaction. They attach themselves to the surface of the dog’s teeth. Over time, bacteria produce a thin fluid known as biofilm which coats the surface of the teeth. This biofilm serves as a protective layer for the bacteria. It covers the bacteria on the surface of the teeth to protect it from removal. We call this biofilm plaque. The dog’s saliva interacts with this biofilm, introducing minerals into its chemical structure. The minerals present in saliva turn the biofilm into a much harder substance we call tartar. It is also these minerals that give the tartar its distinct yellowish or brownish color. Plaque or biofilm is colorless. Tartar provides bacteria with a tougher protective shell. It is their primary defense against the abrasive action of dog toothpastes and dog toothbrushes. Only a dental scaler can remove these hardened deposits. But this is not the real issue. The main concern is what happens underneath the tartar. Bacteria continue to grow under the protection of tartar. As bacteria grow in number, they also secrete toxins and other substances that react with the outer layer of the teeth. They chip away at the enamel of the teeth until they reach the dentin. This occurs over a period of several years. But once the microorganisms reach the dentin, the process of tooth decay can proceed at a much faster rate. This is because of the softer nature of dentin compared to the enamel. This is not only the problem. With the growth of bacteria under the tartar, they can also encroach into the adjacent tissues of the gums. The gums are rich in blood vessels that contain immune system cells. The contact between bacteria and the gum tissue can trigger an inflammatory response. The different mediators of inflammation move to the affected site. This can further cause damage to the tissues. This can lead to the inflammation of the gums, a condition we call gingivitis. With this condition, the gum tissues become weaker and more susceptible to bacterial penetration. If this happens, bacteria can also damage or destroy the other structures that support the teeth. This leads to periodontitis. 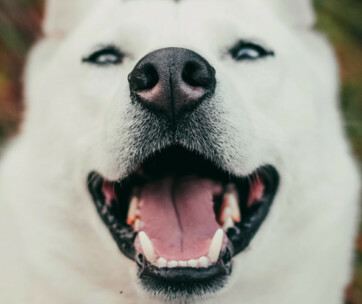 The combination of gingivitis and periodontitis can lead to periodontal disease in dogs. Periodontal disease introduces bacteria into the bloodstream. From here, bacteria can reach other organs in the dog’s body like the heart, liver, and kidneys. It is for this reason that meticulous dental and oral healthcare is important among dogs. It is critical to prevent bacteria from ever forming biofilm. And in there is already plaque on the dog’s teeth, it is imperative to prevent it from turning into tartar. One cannot downplay the role of nutrition on dogs’ dental health. Some say that dog kibbles are better because their rough texture can help prevent the formation of dental plaques. As the dog chews on the crunchy texture of kibbles, they rub against the surface of the teeth. What many fail to understand is that dogs don’t use all of their teeth to chew kibbles. More often than not they use their molars which are the back teeth. This means kibbles will not scrape against the surfaces of their front and side teeth. There is another reason why kibbles may not be that good for your dog’s oral and dental health. We know that kibbles contain more carbohydrates than proteins and fats. A typical dry dog food contains 25% protein, 15% fat, and 10% moisture. When we compute for its dry matter composition, we get 27.8% protein and 16.7% fat. This leaves us with 55.5% as carbohydrates. Let’s try comparing it with wet dog food that has 10% protein, 5% fat, and 80% moisture. Its dry matter composition is 50% protein and 25% fat. This means it only contains 25% carbohydrates as dry matter. Why is this important? Well, bacteria need food to survive and grow. When it comes to their survival, bacteria thrive in a sugar-rich environment. Sugars are the simplest form of carbohydrates. The more carbs you have in your dog’s food, the more food you are giving to the bacteria present in its mouth. If this is not convincing enough, dogs that feed on high-quality raw food have fewer dental plaques and tartar than dogs that eat kibbles. Raw, whole-prey dog foods don’t contain carbohydrates. If you notice any of the manifestations, then there’s a good chance your dog already has a dental problem. As such, it is imperative that you seek the assistance of your veterinarian. He can perform a more thorough evaluation of your pet’s oral and dental health status. This way you can be more certain of the next steps you need to take. The infection in the gums can spread to the dentin portion of the teeth. This can lead to the formation of pus and produce an abscess. This can be very painful and can lead to the loss of the tooth. The teeth attach to the jawbone by virtue of their roots. If there is periodontal disease, the bacteria can spread into the adjacent jawbone and cause an infection. This is what vets call canine osteomyelitis. It can damage the bone and cause it to become very brittle. The sinuses drain into the nasal passages of the dog. An infection of the teeth in the upper jaw can produce inflammatory changes in the roof of the mouth. Its proximity to the nasal passages can also extend the inflammation into these passageways. This can create obstruction in the normal drainage of the sinuses, causing inflammation. We know that bacteria that start on the surface of the teeth can reach the bloodstream in severe periodontal disease. These bacteria can reach the heart and adhere to the surfaces of the heart valves. This causes inflammation and making the heart valves very stiff. They can no longer open and close in an efficient manner. This can lead to problems in blood circulation. Bacteria can also travel to the dog’s liver. It can cause pyogenic liver abscess which can damage the cells of the liver. We all know the critical function of the liver. Without the full function of liver cells, it will be difficult to detoxify many substances that are present in the blood. Bacteria can also reach the dog’s kidneys. This can lead to glomerulonephritis which is one of the preconditions to the development of acute renal failure. Like liver damage, kidney damage can disrupt the dog’s ability to remove toxic substances and waste materials from its body. The bacteria can also stay in the bloodstream. This can lead to septicemia. If not treated at once, it can lead to septic shock and death. 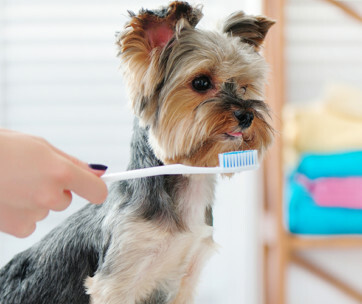 There are many reasons why oral health is important among dogs. 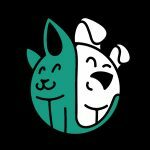 Since they cannot brush their teeth with the best dog toothbrush and the best dog toothpaste, we should take it upon ourselves to do this for them.